For my birthday I really wanted French Macaroons again. I was planning on going downtown to Miel Patisserie in Philadelphia during Labor Day weekend, right before my birthday on the 4th... but I forgot Philadelphia was having the 'Made in America' concert for two days straight. So downtown would have been crazy, the trains would have been mobbed... I don't do crowds. I get claustrophobic. 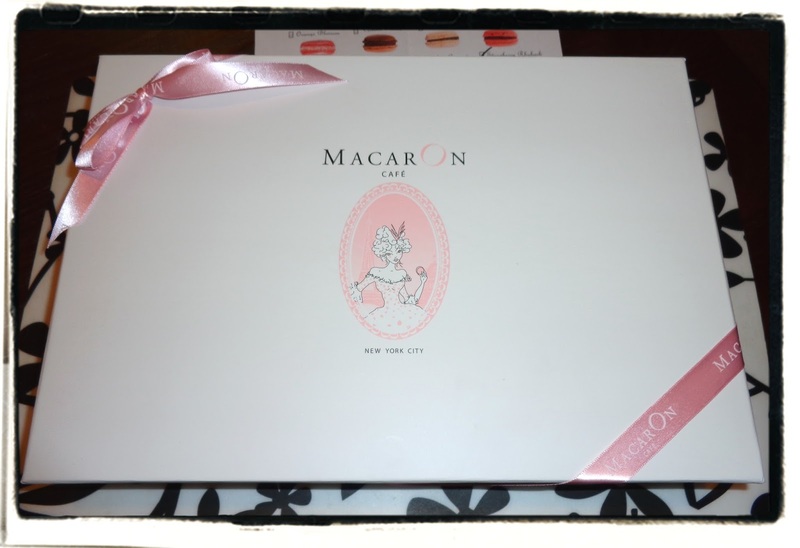 Being a splurge I ordered the largest box of 24 French Macaroons. 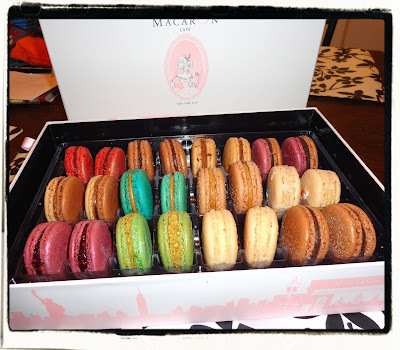 I ordered two of each flavor (so hubby can share too!) of: Dark Chocolate, Vanilla, Pistachio, Raspberry, Mocha, Peanut Butter, Caramel, Coconut, Strawberry Rhubarb, Nutella, Espresso, Chocolate Raspberry. When they arrived, they were packed in a box and the gift box was within a thermal bubble envelope with ice packs. The macaroons themselves were in a special plastic separator tray inside the gift box, so none of them got crushed or broken during shipping! 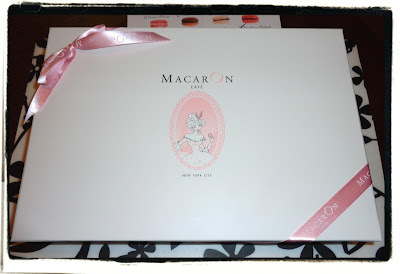 The gift box is nice too, it came with a pink ribbon. I'm going to keep it to put makeup or nail polish in after they are all gone! They are so pretty! 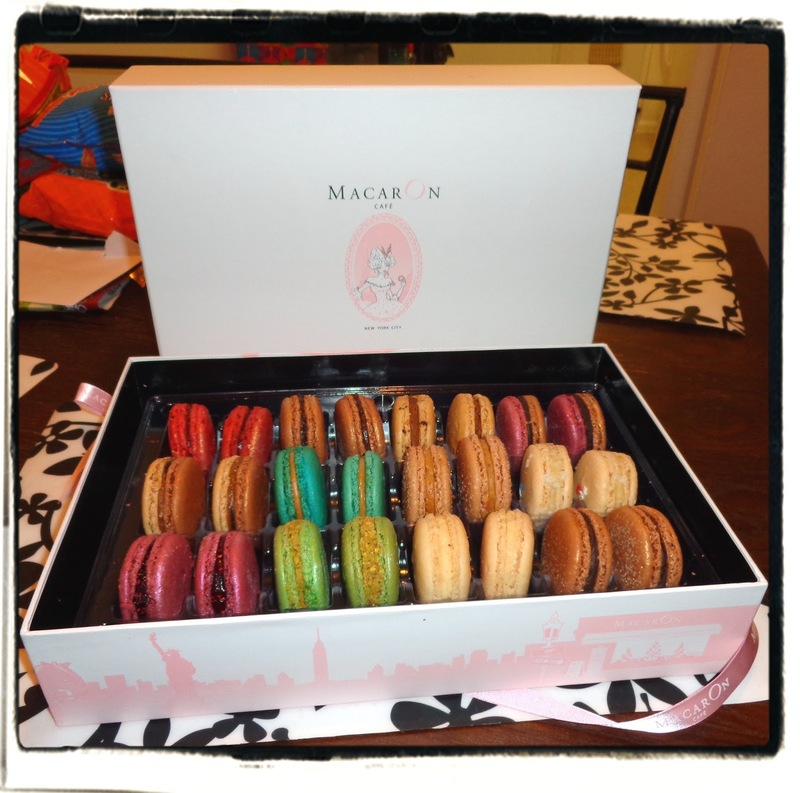 French Macaroons are normally pretty. These ones had shimmer & edible gold shimmer on some of the flavors. And of course they are so good! So far I've tried chocolate, raspberry & pistachio. Pistachio is my favorite so far. 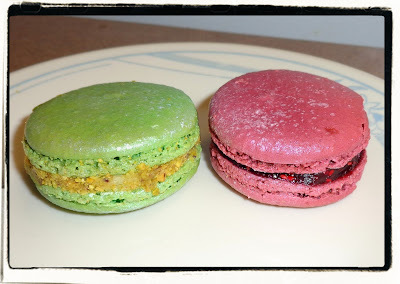 (I liked pistachio at Miel Patisserie too). *This was purchased by myself. 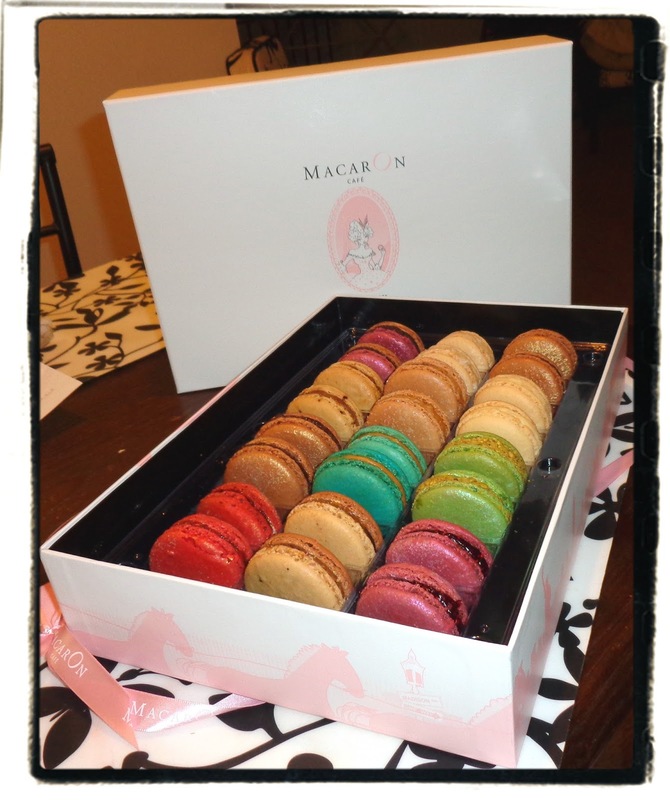 I am not associated with Macaron Cafe.